The Battle of Crete Commemorative Service will take place at Souda Bay, CWGC cemetery on 20 May 2019. On 20 May 2019, to commemorate the 78th anniversary of the Battle of Crete, families of veterans from the UK and the countries of the Commonwealth will join descendants of Cretan comrades to lay wreaths at the annual service of commemoration of the Battle of Crete at the Commonwealth War Graves cemetery at Souda Bay, Chania. Representatives from the Greek Armed Forces, the local Government and diplomatic missions will attend the service and the wreath laying. 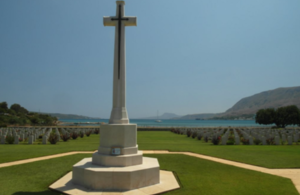 The service at the Commonwealth War Graves Commission cemetery at Souda Bay is part of a series of events held every year commemorating the Battle in May 1941. 78 years ago the Allied Forces stood alongside the people of Crete to defend the island from the Nazi invaders. Such was the response from the people of all ages that the Battle continues to be remembered for its courageous defence that gave the enemy a costly victory. In commemorating this event we also remember the courage of the Royal Navy’s attempts to defend the island and in conducting a most brave evacuation. After the Battle, thousands of Allied troops hid in the mountains and villages. The people of Crete, in spite of reprisals, gave these troops refuge and assistance to escape. The Allies will always owe a great debt of thanks for this bravery and sacrifice. It will not be forgotten by the people of the United Kingdom.